I have already had the benefit to see Metallica and Rammstein on concerts and I must say that their live performances were smashing. I saw Metallica on 25 July 2008 at the Vasil Levsky Stadium. The Sonisphere festival will be held at the same place. You probably think what is common between rock concerts and journeys. A good rock concert can be a reason for such a journey. 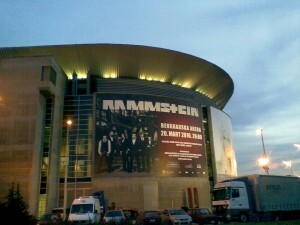 Some friends and I have had a trip to Belgrade, Serbia in order to see Rammstein. 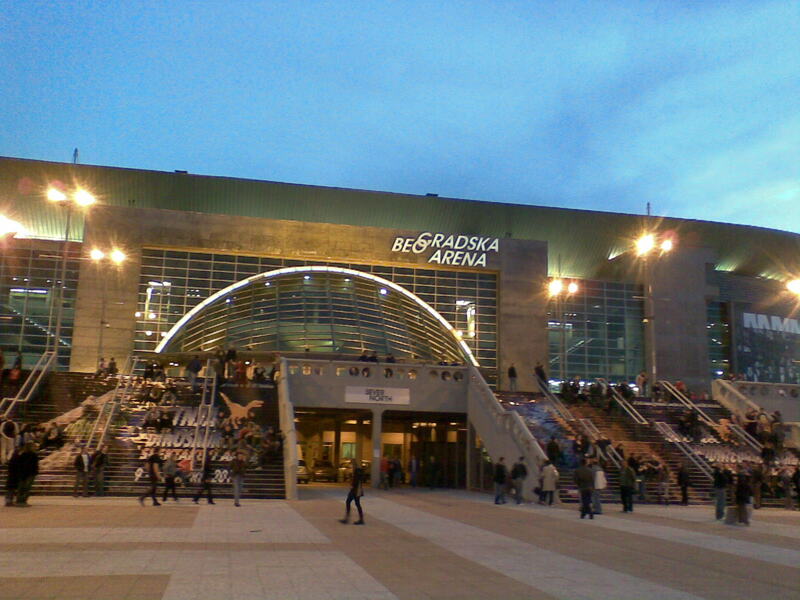 The concert was held on 20 March 2010 at Beogradska Arena. We start the journey in the Saturday morning. 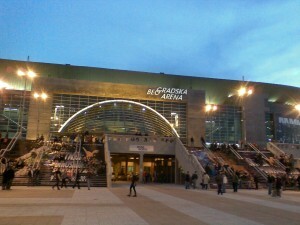 The driving to Belgrade was fine and we were at the arena in the early afternoon. We had some food and then we were ready to enter the concert hall. I must say that the Partizan’s basketball hall is quite impressive. On the concert there were about 25000 people, which is a great amount of folks for an sport hall. We waited for some time and then we heard the first tones of the support band – Combichrist. 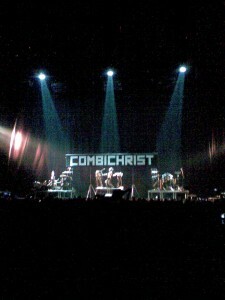 They were quite good and heated the crowd up for the forthcoming tsunami called Rammstein. 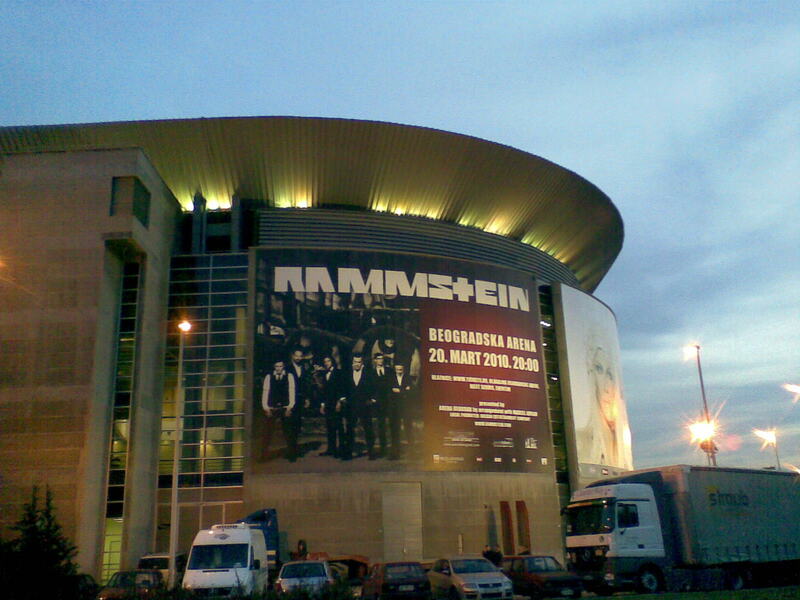 Once Rammstein entered the stage the real show begun. All the people were dancing and singing with them nearly 2 hours. The sound support of the hall was at a high level. Two hours of jumping, shouting and pogo dancing with such a great band like Rammstein can be really exiting. It is difficult to describe the show. Everyone who had the chance to see a live performance of Rammstein will know what I mean. Besides the music this band makes a spectacular performance with many effects. 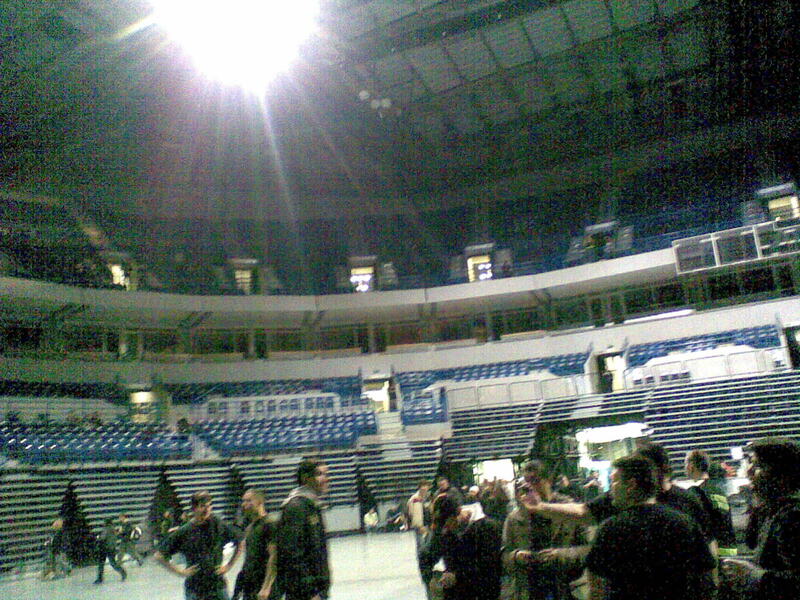 After the concerts we were tired, but we took the long way back home with smiles on our faces, because we knew that we will see Rammstein really soon – on Sofia Rocks 2010. We hope that this will be the best rock fest in our geographical location. See you at Sofia Rocks 2010 powered by Sonisphere Festivals.